The wing to Park Farm House with a family bedroom and single bedroom. It was a very pleasant stay- owner’s well thought on small things, like salt, cooking oil, dish washer tablets, washing up liquid, tea, coffee and a small bottle of milk was provided which makes life much easier. Many thanks. We're pleased you enjoyed your stay. Thanks for taking time to review Fishers Cottage. We have lost count of the number of times we have stayed at Park Farm but each visit is different and we try to make the most of the surrounding area. As a consequence we have an enjoyable time and return home refreshed. Ok, so maybe some of the facilities may not meet modern day requirements but they suit us! Roll on the next time! Many thanks for taking time to review. We're very pleased you enjoy Park Farm and all the area has to offer. We have now been here a number of times and never disappointed. Location great, surroundings great. We love it. Many thanks for your review. It's a pleasure to see you and your family here at Park Farm. enough. Look forward to returning as soon as we can. Many thanks for your review. We look forward to seeing you again at Park Farm. Lovely cottage in a peaceful and picturesque surroundings highly recommended. Just spent a wonderful week in a beautiful cottage. The cottages are in a quiet surroundings with lovely views and easy walking access ( about 5 mins) to Stowe through a lovely leafy walkway. There is plenty to do and see in the area so much so that we will have to return as we didn't get to see everything that we wanted to. John and Tiana were so welcoming, nothing was too much trouble. We do self catering cottages each year and these are ones we would certainly revisit and highly recommend. We're really pleased you enjoyed your week in Fishers Cottage and that you were able to see so much of the area. Thanks for staying with us and thanks for the great review. It was probably our fourth or fifth stay at Park Farm, and the second time at this cottage. Very pleasant surrounding. Very enjoyable stay. Looking forward to be back in that neighbourhood soon. Thank you for staying at Park Farm with your beautiful Chow dog and thanks for the great review. 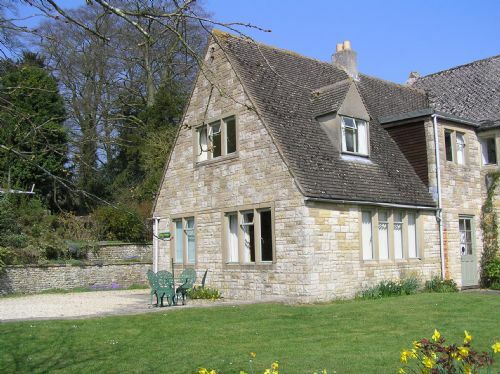 Beautiful location, excellent facilities, wonderful hosts and five minutes walk from Stow on the Wold. We're pleased you enjoyed your weekend and thanks for the great review. We really enjoyed our stay at Fisher's Cottage, which was the perfect location for us. Very peaceful, lovely countryside and only a short walk into the town, which meant we could leave the car behind when out for our evening meal. The owner's were very hospitable and approachable. If you had children there was provision on site for outdoor activities, which also catered for adults. We left a small item behind, which we received in the post the following Monday and this we really appreciated. So pleased you enjoyed the cottage and your evening walks into Stow. Thanks for the review. A lovely little cottage. A very short walk to Stow with lots of shops/restaurants. Very suitable for our 4 year old and 1 year old twins. It was lovely to see your young family enjoying Park Farm - thanks for the review. A great central place to stay in the cotswolds. Very enjoyable stay, well equipped cottage with use of the garden games and tennis court, great place to take the dog with the use of the large enclosed paddock. convenient place to stay with only a short walk to the village of Stow with great pubs and coffee shops. So pleased you enjoyed Stow's coffee shops - they are really good! Thanks for the great review. We're back for our third stay at Fishers Cottage , feels like coming home. The setting of the pretty hamlet of Maugersbury is rural and tranquil although a very short walk or drive (1/2 mile) from Stow. Park farm is excellent to visit with a dog and we enjoyed the dedicated dog paddock for off the lead play as well as local walks. There is a games area for people to play too! We're very pleased Fishers Cottage has suited you well, thanks for the review. Perfect weather, wonderful views and a beautiful cottage. The children loved the big lawn and enjoyed playing badminton and table tennis. The 5 minute walk into Stow on the Wold brought us out opposite a great pub which was very convenient for dinner. We very much enjoyed our stay at Fishers Cottage and hope to return next year. Thanks for the review and we would love to see you all again next year. A very pleasant and relaxing short stay of 3 nights. Our daughter enjoyed talking to the farm horse and cats, and playing table tennis. Fantastic view of lightning across the valley one evening and an easy walk into the village for shopping ! Will definitely stay again when we are in the area. Thank you for taking time to review Fishers Cottage. We're pleased your daughter enjoyed the animals and the games lawn. Superb location, very peaceful, lovely walks for dog. We're pleased you enjoyed walking with your dog whilst at Fishers Cottage and we look forward to seeing you next year. Extremely clean and great location. Thoughtful touches on arrival, milk in fridge etc. Home pressed apple juice was very tasty! Farm cat was a welcome visitor. Kids loved tennis court. Would benefit from child locks on upstairs windows. Decor was a mixture of new and traditional. Close to Country files ‘Adam Henson’s cotswold Farm Park’. We're pleased the children enjoyed the tennis court and the Cotswold Farm Park. Thanks for the review. We’ve now stayed 3 times at Park farm and couldn’t recommend them more. Really good facilities within the cottage and everything you could need for a baby. Lovely fields and views all within a short walk of Stow. An excellent, relaxing weekend. Sandi, thanks for your lovely review. It's good hear Park Farm suits you so well.